How do you deal with a bad book review? If you receive a bad book review on Amazon or another site, do you delete it? Do you respond to the person? Will it have significant impact on the success of your book? I can definitely answer all of these questions because there are haters, trolls, weasels, and critics all over the place. If you self-publish a book on Amazon to help your business and build credibility, you’re bound to have to deal with negative book reviews at one point or another. Some people are going to do anything they can just to cut people down. The way I look at it, anytime you get a negative review, remember all information is good information. There might be something useful in the negative review that will help you grow and get better. These tips can be used for reviews on other things like blogs, social media posts, product reviews, and videos. 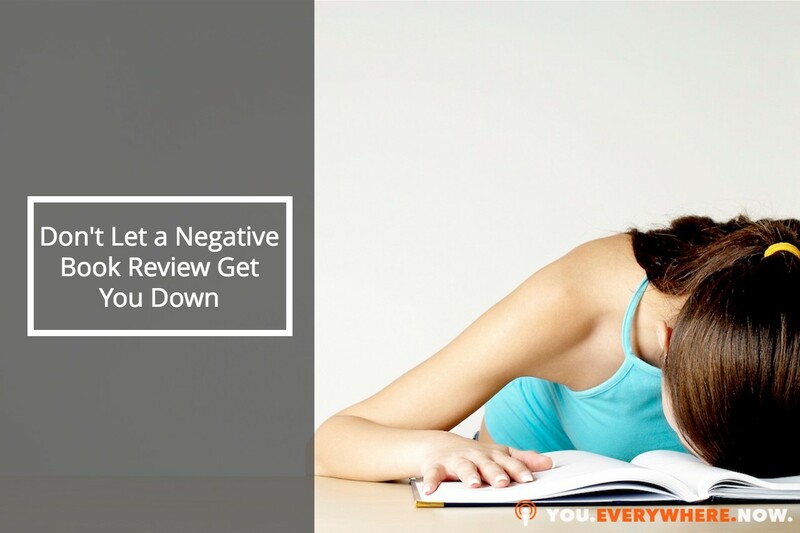 Here are some methods you can use to deal with negative book reviews and even prevent some from happening. The best thing about this is if the negative book review is actually true, you can change the content of your book. You can upload it to Amazon, and that new content will be live in less than a day. If you self-publish in a paperback book, in less than 24 hours it's live and online. If it's in a Kindle version of the book, it's usually about 8 hours or even less. In a few cases when someone actually said something that was true about my books, I made some changes. I uploaded it. I edited it. I said, “Hey. Thank you for that. That was something I didn't notice,” or “It was a good suggestion and I actually updated my book to reflect the changes you had.” That’s totally OK to do. “If you like what you read or most of what you read, I would absolutely, positively love to hear from you and get to know you even better and find out what you learned. Better yet, post a picture or video on my Facebook wall,” and I give them a Facebook link. I also say, “If you find any kind of a mistake or error in my book, send me a message to my email address,” and I publish my email address right inside my book. Here's what happened when I did this: The first time I released Publish and Profit, (which you can get for FREE right here) I turned it around in 9 days, start to finish, from concept to completion. No doubt I had some grammar mistakes in there. But, because I had put the disclaimer in my forward, I had a couple of readers give me the pages and corrections. I even had someone download the PDF, print it out, make corrections, scan it, and sent it back to me. I just want you to know, sometimes this can turn into something really, really good and build an audience. The most important thing is to not react. Don't start getting defensive. You're better off ignoring it. Even negative reviews can sell books for you. In my experience, nobody really believes it if they see a hundred 5-star reviews. They know it probably isn't real. A quality tribe can make anyone's book, even a bad book, look good by giving that author a whole bunch of 5-star reviews. If you look across the board, even big New York Times best-selling authors have plenty of negative reviews from people who just don't agree with their point of view. Anyone who's good is going to be a little disruptive. They're going to go against the norm. They're going to take on the status quo, and they're willing to be pioneers and do whatever their mission tells them to do. Once you build your tribe, they're going to come to your rescue and they're going to defend and basically put comments underneath someone's comment and tell them why they're a big idiot anyway. Focus on the lovers. You serve them because they're the ones who are actually buying your stuff. You don't want to focus on the whiny minority, because the good tribe is going to buy from you. They're going to give you ideas and content that you're going to be able to repurpose and reuse. The bigger your audience, the bigger your brand grows, and the more impact you're going to have. Also, the more you're going to serve and the more you're going to earn. That’s where you want to put your energy. Focus it on building the tribe. The last comment I will make is that most negativity is just someone displaying their jealousness of you or projecting all over you. Negative reviews are an opportunity to learn and to grow. Don't take them personally. Learn from information, if it's useful, but don't react. Never give the negative haters and trolls any energy at all. I’d like you to think about this. If you want to learn more about how a book can help you grow your business, just click this link, or the button below. You can get my Best-Selling book, Publish and Profit for free. I do want to thank you so much for reading and any kind of comments or feedback you may happen to have, share them below.